Travis Wammack is an American guitarist and singer. 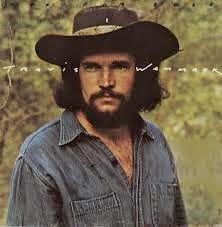 In 1975 Travis Wammack released a second solo album, this time on Capricorn Records, but again recorded at Fame Studios and produced by Rick Hall. It was another blend of rock and R&B styles, with a slicker and perhaps more commercial sound compared to his debut, but still with a distinctively Southern flavour. Again the focus was more on his great vocals rather than any flashy guitar playing. It featured some good covers, including Clyde McPhatter's "A Lover's Question" and Clarence Carter's "Looking For A Fox". It also featured his own composition "Greenwood Mississippi", a song which Little Richard had recorded at Fame five years previously. Two singles from the album made it onto the charts - "Easy Evil" got to #72 and "(Shu-Do-Pa-Poo-Poop) Love Being Your Foo" got to #38.